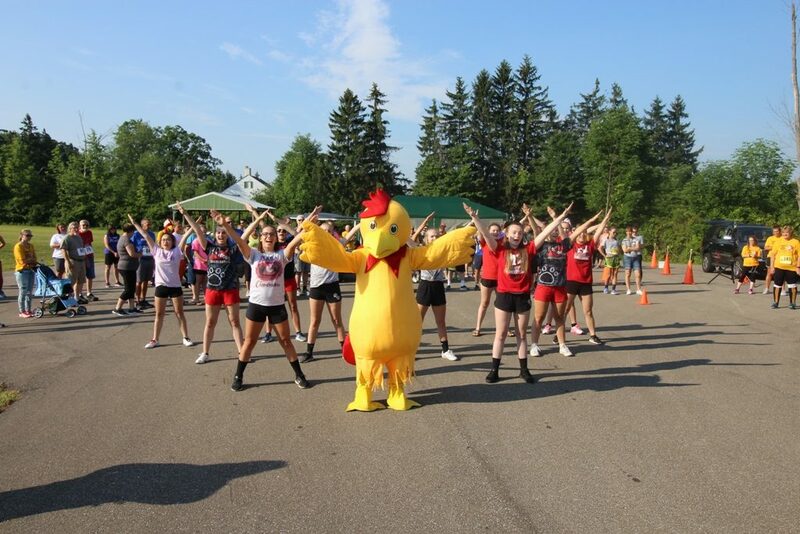 Wesbury and Northwest Pharmacy Solutions are proud to announce the Fourth Annual Wesbury 5K Chicken Run/Walk to be held on Saturday, July 20, 2019 on Wesbury’s beautiful campus. This wellness event includes the option to participate in either the 5K or a one mile walk. This employee driven event was created to benefit the Wesbury Benevolent Care Program, which supports residents who have outlived their financial resources and allows them to continue to receive care here at Wesbury. Listed below are the various ways you can support the Wesbury 5K Chicken Run/Walk. Size and placement of logos on t-shirts, race-related signage, marketing materials and web site are based on sponsorship level. If you would like to make a donation in any amount to help defray costs, we would greatly appreciate it. Thank you in advance for your consideration in becoming a race sponsor! For additional information or questions, please call 814-332-9022 or email aferringer@wesbury.com.